18 holes by the sea, bordering the Marina San Miguel. The designer, Donald Steel, took advantage of the beautiful contrasts of the island to achieve a varied course with stunning views of the Atlantic Ocean. The 5th hole, a real gem for golfers, with the sea as fairway the ball must go over the ocean to reach the green. 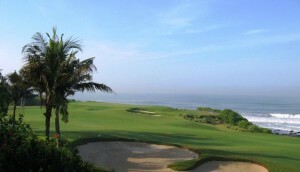 The experience of playing on the course, feeling the sea breeze becomes one of those golf days you never forget. The resort features a driving range, putting green, 9-hole Pitch & Putt Course, golf shop, café-bar on the first tee, Buggy Bar Service, club hire , Buggies and Trolleys, clubhouse with tennis courts, swimming pool, bar- restaurant and horse riding club(Pura Vida). Inaugurated in 1989, a year later it debuted internationally in high level competition, hosting the second edition of the Open de Tenerife, part of the PGA European Tour. 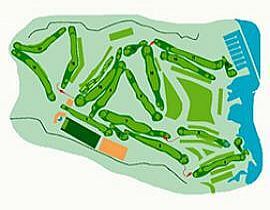 This great little 9 hole course was founded in 2000 as a firm commitment to the business group to promote golf and bring the sport to the public. You do not need a license so it is ideal for the whole family to enjoy a day of unforgettable golf. It features pro shop, snack bar, rental club service and trolleys. You do not need a license and is therefore ideal for the whole family. It is shown that the practice of Pitch & Putt greatly improves the short game of experienced athletes, if you consider that 65% of the strokes on a normal golf course are made in the last 100 meters of each hole.